I’m more than happy seeing this at uncommon. Pegasus Courser at common every set was getting to be a bit much, and having a break from that is welcome. 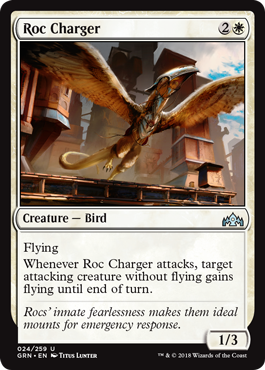 The card is great, and completely changes how white decks play out, giving them good offense at any stage in the game. It even gets better with mentor, both in receiving counters and giving your fragile mentor creatures evasion.